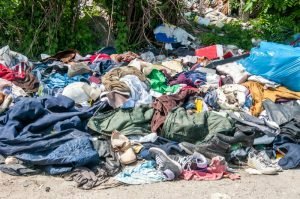 Experts estimate that in the United States, the annual average of waste per US citizen amounts to nearly 70 pounds of clothing and textiles. According to Professor Tasha Lewis of the Department of Fiber Science & Apparel Design at Cornell University, the fashion industry’s production, manufacturing and marketing phases have a huge, and particularly negative (given recent statistics), detrimental impact on the environment. Despite the belief otherwise, these effects are also felt after consumption of these materials. In terms of waste and its impact on the environment and space, statistics indicate that nearly 13.1 million tons of municipal waste collected each year occupies nearly 5% of all landfill space. 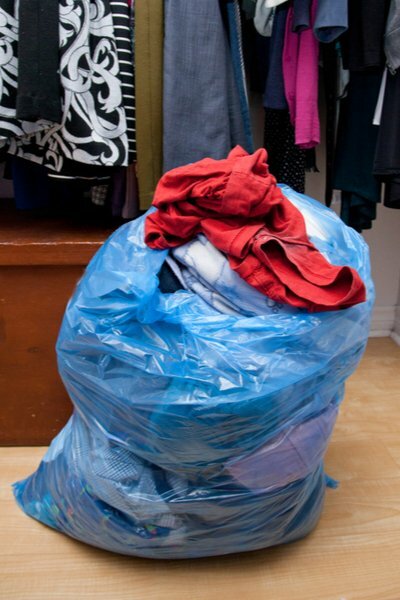 In addition, a recent 2016 Ontario study concluded that 85% of discarded textiles end up in a landfill site — or better put, only 15% are recycled or reused. This environmental challenge is certainly disconcerting because landfills are really costly spaces to maintain, and perhaps more obviously, dumping excess donations has a detrimental effect on the environment. This is what some experts call a “crisis of stuff.” One of the most ecologically and ethically responsible ways to deal with this ongoing challenge is to responsibly reducing waste, re-directing waste from landfill spaces, and repurposing old items into ‘new’ ones. Not only does this positively impact the environment, but it certainly comes with financial benefits and incentives to consumers who can purchase items at a fraction of the cost. One of the more obvious ways to address this challenge is to actively participate in the credential clothing market and address the question of textile waste that is increasingly becoming a subject of interest. On the one hand, as reported by the CBC, unlike items such as newspapers, plastic containers, glass, plastic, and cardboard, textiles have only recently become items that consumers immediately consider recyclable materials. 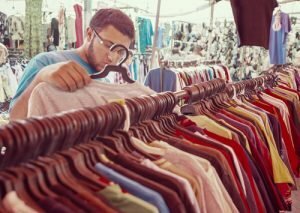 The EPA found that even before the surge in popularity of the credential clothing market, nearly 3.8 billion pounds of post-consumer textile waste (PCTW) was recovered each year. 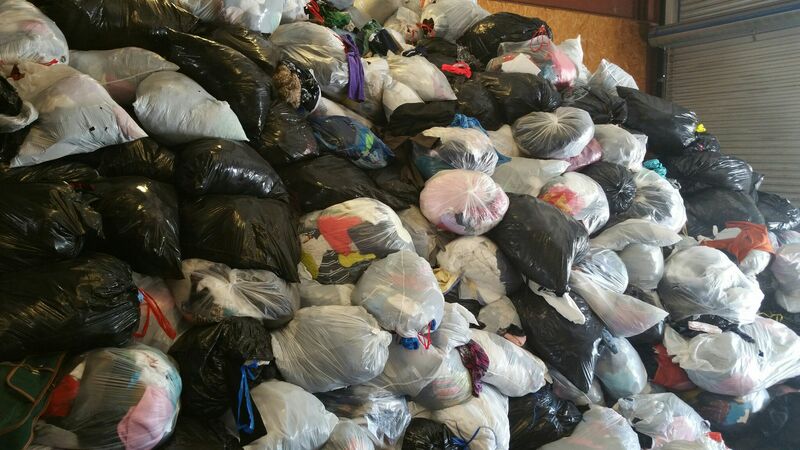 “Credential clothing,” otherwise known as “original clothing,” are textiles, shoes and miscellaneous textiles that are initially collected in drop and donation boxes which have been strategically placed in high traffic, and even affluent communities. These are items that the original owners determine that they no longer need. Experts maintain that in order for materials to qualify as “credential” they must be unsorted, untouched, not graded in terms of their quality, and free of contamination from trash, wet items and products that can damage the items. Credential clothing items must also be in the exact condition they were first found in — that is, in their original packaging. After credential clothing items are collected they are then processed and recycled as top-grade credential materials. It is usually the case that credential clothing is sorted for two particular purposes – that is either to put it on the sale floor at a thrift store for sale to interested consumers, or alternatively to select very specific items by category that consumers may be interested in and looking for. Experts argue that graders will buy these materials hoping that they will get a higher yield since the more desirable items will not have been sold in the stores. Unlike other recycled textiles, credential clothing is much more preferred among collectors because of the packaging they are found in. As a rule, credential clothing typically comes inside bags that have not been opened, and these bags often contain a variety of valuable materials. Graders can often open bags to find: vintage and highly sought-after items; jewelry; chic accessories such as hats, belts and scarves, shoes (both leisure/informal and formal); carrying items such as purses, backpacks and wallets; materials for children such as toys and stuffed animals; and household linens. If these valuable items are removed from their bags, distributors might lose interest in the items because they no longer have the opportunity to select materials on their own and the items that are found in these bags might not hold value any longer. In terms of profit, credential clothing is also preferred because it typically receives a higher price at market. At Bank & Vogue, while we do not own facilities for grading credential clothing, we do ship credential items directly to our customer’s facilities. These locations might include thrift stores or sorting facilities. As a wholesaler, Bank & Vogue is not responsible for collections nor do we pick up the individual donations of people who are looking to dispose of their old items. Rather, at Bank & Vogue we pick-up full truckloads from the companies which assemble credential clothing collections. Bank & Vogue has been investing much of their effort into convincing their supplier to use cap-sacks that allows our company to load high weights without putting to much pressure on the clothing. In plain terms, this means that much fewer items are damaged. This deep familiarity with the credential clothing market and the need to increase its use as recycled materials means that Bank & Vogue has amassed great expertise in the required logistics needed in order to move these goods across North American and global markets. At Bank and Vogue we are proud to work with large and small thrift store retailers, not-for-profit community based collectors, and even private collectors and consolidators, to responsibly deal with this question and concern over the “crisis of stuff.” As a result, we make it our organization’s priority to provide our clientele with top notch credential clothing products all the while doing our part to address the environmental challenges of our day. For those interested in learning more about credential clothing and how we at Bank & Vogue can help you consume credential clothing and save textiles via recycling, please contact one of our friendly staff members for assistance. Our team is always ready and willing to discuss pricing and logistics. In order to utilize our team’s expertise, please contact us at 1-866-613-0719 (North America) or 1-613-747-8465 (International).